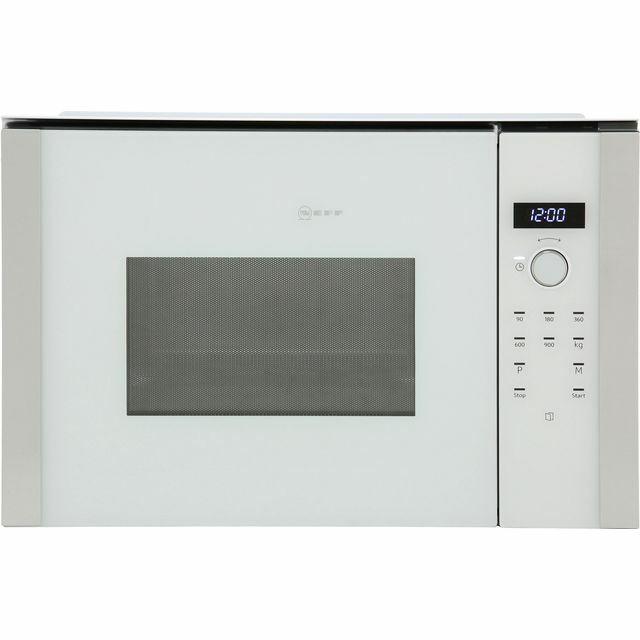 Effortlessly prepare every delicious recipe with this white built-in microwave from Neff. With its compact 25 litre capacity, it’s a great choice for smaller households. It also has a 900 Watt power output, so you won’t have to wait long before you’re enjoying your favourite dishes, as it warms food in no time. The automatic programmes take the hard work out of cooking too, as they offer a range of options to suit any meal – so you can enjoy your masterpiece in minutes. Its combination of dial and touch controls are easy to use too, as they give you total accuracy over your cooking. This model is designed to fit in an eye level cabinet. 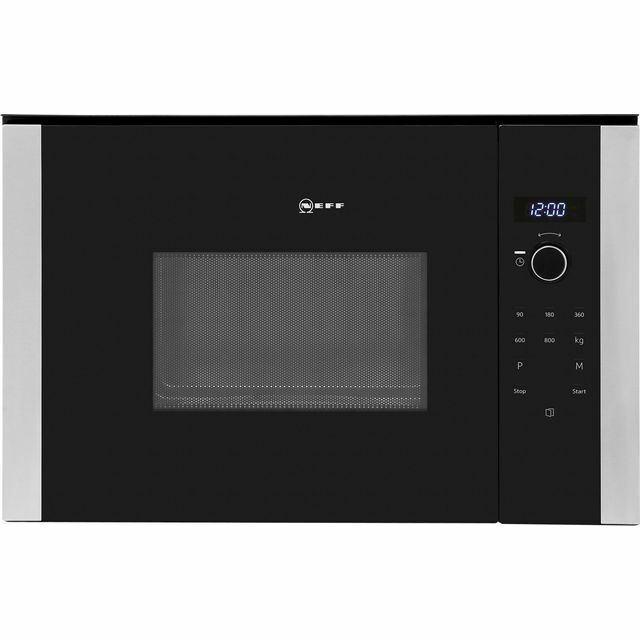 Want to make sure this standard microwave will fit in your kitchen? Check out our handy measurement guide video. We’ll show you everything you need to know about measuring up in just a few simple steps, so your new appliance will fit like a glove. Looks good, as matches new Oven. Old one 19 yrs and was still going ! (Neff). Touch controls which I’m getting used to. Simple to use after a little practice. 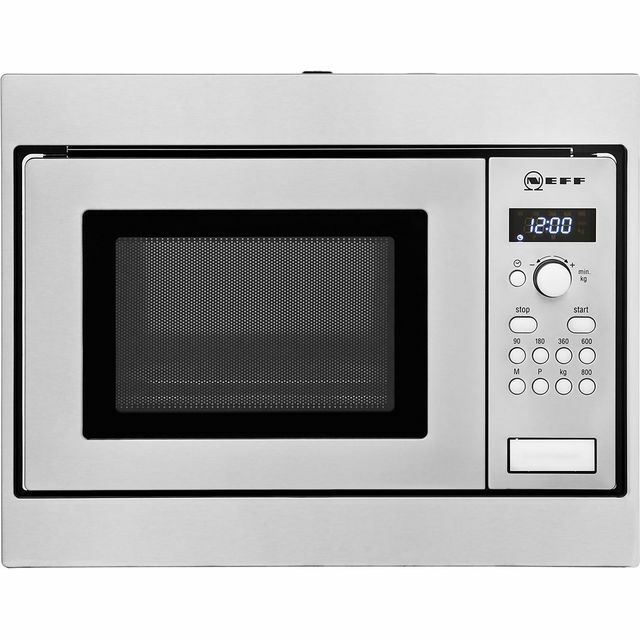 Purchased to replace a previous Neff appliance, this is extremely sleek , easy to use and appears to be more powerful.